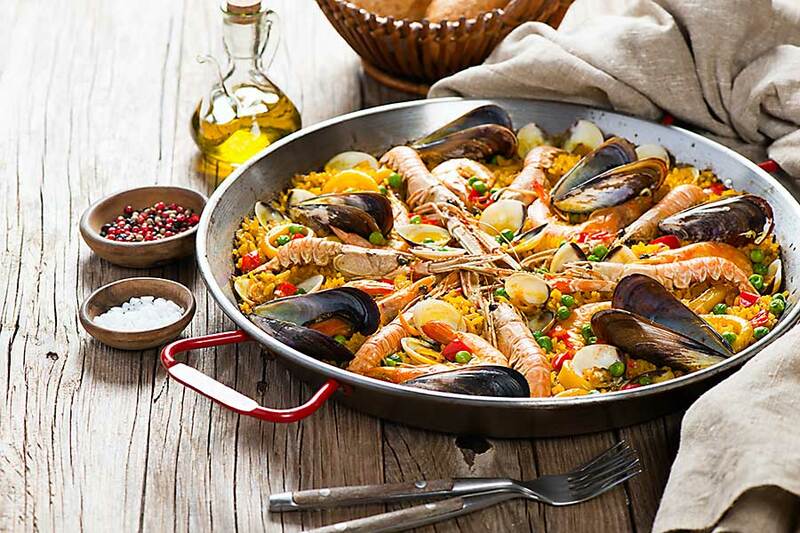 Paella is a Spanish rice dish originating in the town of Valencia. 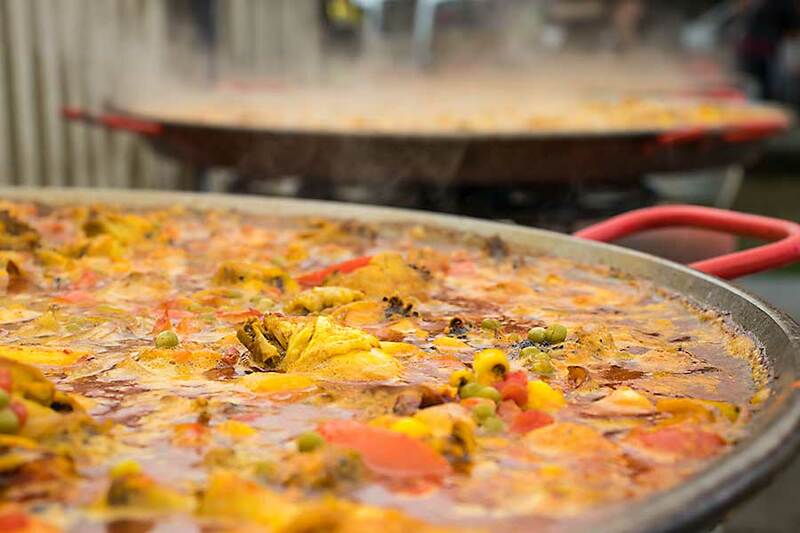 There are hundreds of recipes for paella, all claiming to be authentic. 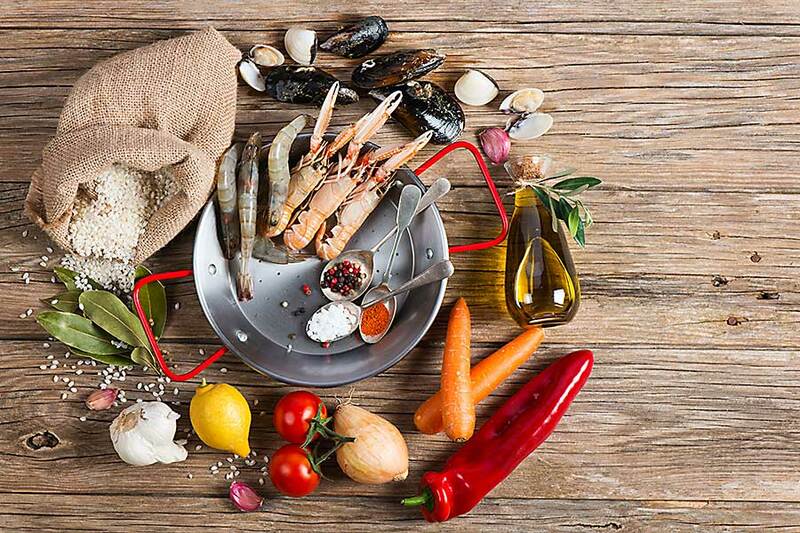 The only ingredients that are necessary for paella are rice, tomatoes, and saffron. Other ingredients are chicken, chorizo, mussels, squid, peppers, and beans. More elaborate preparations include shrimp, lobster, and duck.